Hypoglycemia, if profound, may give rise to cerebral EEG isoelectricity [blood glucose levels < 1.4 mM, but usually < 1 mM in controlled experimental studies (Auer et al., 1984a)]. 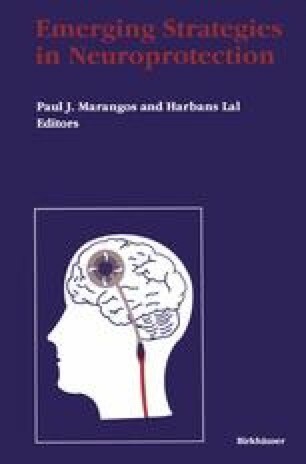 EEG silence is the harbinger of a series of biochemical events leading to hypoglycemic brain damage (Siesjö, 1988), structurally manifest as neuronal death (Auer et al., 1984b). Since hypoglycemia is one of the major effects of insulin administration, the very suggestion of the use of insulin in the possible treatment of cerebral ischemia may understandably be viewed with initial skepticism.